For me, it was an ache that started early, at the young age of seven, when I was kidnapped from the street near my home in southern India, driven hours away, and sold to a Christian orphanage. Despite my insistence to the orphanage owner that I already had a home and family, he wouldn’t listen (or didn’t care). I was adopted by a family in the United States and by the time I’d learned enough English to tell my new and unsuspecting parents the truth, it was too late. When all their attempts to find my Indian family failed, America became my new home. It was a strange country and the transition was difficult. Their customs, housing, food and language were all peculiar. It didn’t take long to realize that in order to survive, I had to forget my past and focus on my future. And so, I turned my back on India, my family, my memories—my home. I adapted to my new country, did my best to fit in, and as time passed, I grew accustomed. I excelled in sports, school, and scouting, and was even elected student body president of my high school. In fact, I almost convinced myself that my home in India no longer mattered, that I didn’t need to look back. There was just one problem: deep inside my head and heart was a voice that whispered otherwise. Despite my best efforts to forget India, I learned that India wasn’t about to forget me. As a youth I went to England and there interacted for the first time with large groups of Indians, people who looked just like me. As first I was terrified, but as I ate their curry, and listened to their music, and observed their colorful dress, long suppressed memories began jumping up and down in my head waving their excited arms. In England, I even drew a map of the village where I’d remembered living as a child, and I secretly vowed that one day I would return. That day came just a handful of years later. When in college, I met (through astonishing circumstances), a girl from southern India named Priya. She was such a change from the blond, Caucasian girls I’d been dating, that when I brought her home to meet my parents, my excited mother pulled out her scrapbook full of articles, letters and photos, many related to India. Years earlier, when looking for my family in India, my mother had written to anyone in the faraway country who would listen. Now, as Priya studied one of the replies, she commented that the handwriting looked familiar. When she turned the letter over, she gasped. It was written by her father, a man who’d actually been friends with the orphanage owner in India years earlier. What were the chances? Priya and I married and a year later, headed to India to attend her brother’s wedding. It was my first time back since coming over as a child and I intended to make use of the trip. I had the address of the orphanage from my mother’s letters, but when I arrived, I found it was closed down. Worse, the orphanage owner had passed away. I was devastated. It was my only clue. Let me pause here to say that most of us spend our lives searching for home. You don’t have to have been kidnapped as a child to feel the need to belong, to want to believe that your life matters, to hope that one day you’ll grasp your place in the world. It’s a yearning we all inherently share. For me, the search was reduced to riding around in a hot and muggy rickshaw, in city after city, looking for familiar landmarks. In a country of a billion people, the odds were overwhelming. After a multitude of setbacks and successes, on the last day I had to spend in India, I found myself on the outskirts of a city called Erode, standing in front of a hut that I believed belonged to my older brother. They’d sent for his mother—perhaps also my mother—who was down bathing in the river. As I waited, I remember seeing an old woman racing up the hill weeping profusely, begging that we tell her everything we knew about the boy who’d disappeared as a child, the son she’d never forgotten. 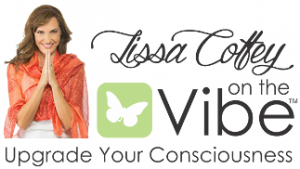 As we all try to find some semblance of belonging and connection in our lives, our search is seldom easy—yet we carry on. Why? I’ve learned that if we’re both patient and persistent, if we never give up, we’ll occasionally glimpse miracles. We are all homeward bound. Good luck in your journey. 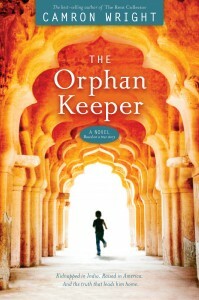 To learn more about Taj and his astounding journey, pick up a copy of The Orphan Keeper, available at bookstores everywhere or visit TheOrphanKeeper.com.